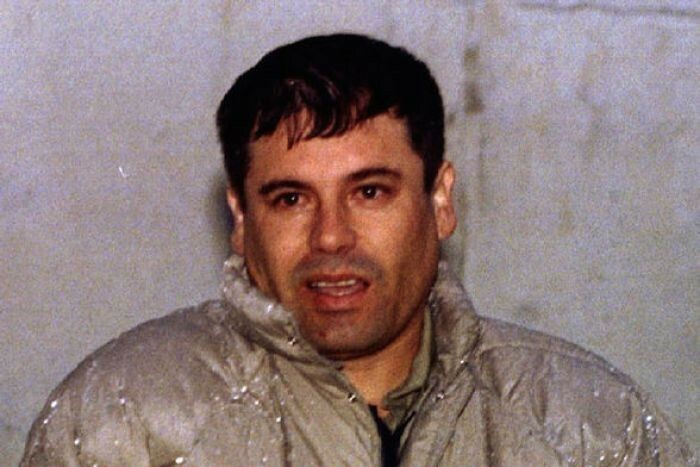 In a report published last week, El Universal confirmed long-standing rumors that the US Drug Enforcement Administration (DEA) has met and negotiated with members of Mexico’s feared Sinaloa Cartel, headed by Joaquín “El Chapo” Guzmán. Between 2000 and 2012, the paper writes, DEA agents met more than 50 times with cartel members on Mexican territory, without the knowledge of Mexican authorities, to obtain information on rival drug gangs. In exchange for that information – as long as it turned out to be true -- the DEA offered an array of future benefits, including dropping charges pending against Sinaloa members. That strategy was authorized by David Gaddis, then the DEA director of operations for the region. El Universal wrote that its report was based on interviews with over 100 drug-enforcement officers from both the US and Mexico, prisoners and families of prisoners, and experts on the matter. As Business Insider notes, the report is also the first to include court documents with on-record statements from DEA agent Manuel Castañón and Justice Department prosecutor Patrick H. Hearn about deals struck with the Sinaloa cartel. Those records come from the 2010 trial in Chicago of Jesus Vicente Zambada Niebla, a Sinaloa operative and son of Ismael "El Mayo" Zambada, a top cartel leader. During the trial, Zambada Niebla’s lawyer had argued that he was entitled to immunity from arrest or prosecution because he had taken an active role in providing information to the DEA on rival cartels. His arrest on drug-trafficking charges had come shortly after meeting with DEA agents. The court records show Hearn as saying he had authorized another agent, who had proposed a “sit-down meeting” with Zambada-Niebla, to go to Mexico to carry out the interview. Castañón, who was also working on the case, told the court that in March 2009, “I met for approximately 30 minutes in a hotel room in Mexico City with Vincente Zambada-Niebla and two other individuals — DEA agent David Herrod and a cooperating source [Sinaloa lawyer Loya Castro] with whom I had worked since 2005. ... I did all of the talking on behalf of DEA." Edgardo Buscaglia, senior professor at the University of Colombia, told El Universal that the DEA had operated in a similar fashion in Colombia during the 1980s as well as in Cambodia, Thailand and Afghanistan, among other places. “This modus operandi implies a violation of international public law, apart from being more fuel to the fire of the violence [in Mexico], with violations to due process and human rights,” Buscaglia opined. A DEA spokesman declined to comment.